The nominees for the 2017 Academy Awards were announced this morning and, in three very significant ways, those nominations made history. The first has to do with the category of Best Supporting Actress. 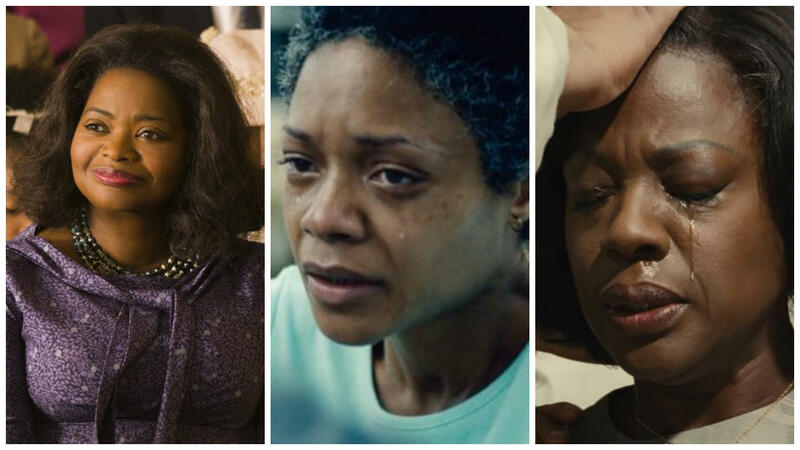 This year, for the first time ever, three black actresses -- Viola Davis for “Fences,” Naomie Harris for “Moonlight” and Octavia Spencer for “Hidden Figures” -- were nominated in the same Oscars race. This isn’t the first time that three women of color have been nominated in the same category. That history was made in the Best Supporting Actress race back in 2007, when Jennifer Hudson was nominated for “Dreamgirls” and both Adriana Barraza and Rinko Kikuchiand were nominated for “Babel.” Hudson took home the prize that year. Also, three men of color were all nominated in the Best Supporting Actor race back in 2004. This year, however, is significant for the fact that -- just one year after the #OscarsSoWhite controversy dominated the discussion around the Academy Awards -- seven people of color were nominated in the acting categories alone, six of which were African-American actors and three of which were African-American women in the very same category. Last year, there were zero people of color nominated in the acting categories. Beyond that, Viola Davis made history this year, becoming the first black actress to be nominated for three Oscars. “Moonlight” director Barry Jenkins also made history Tuesday morning by becoming the first African-American filmmaker to be nominated for Best Picture, Best Director and one of the screenplay awards. Should he walk away with the Oscar for Best Director next month, he will make history as the first black man to ever win in that category.